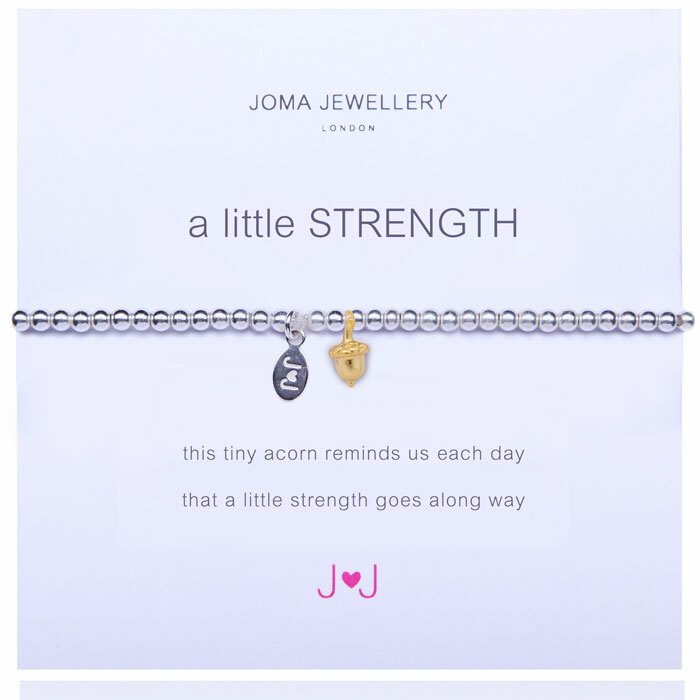 Joma Jewellery a little Strength Silver Bracelet detailed with the most beautiful little golden acorn charm with the words ‘this tiny acorn reminds us each day that a little strength goes a long way’. 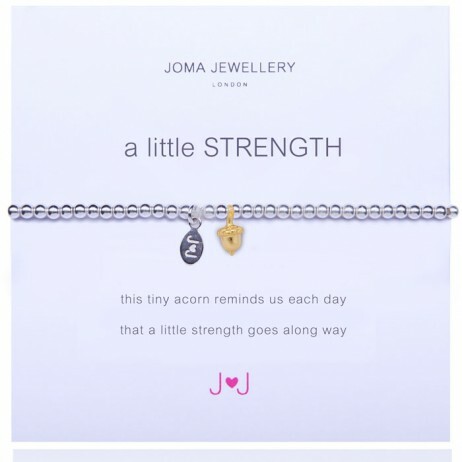 Another MUST HAVE addition to your ‘a little’ range from Joma Jewellery London. Your Joma Jewellery a little Strength Silver Bracelet arrives carefully wrapped in our tissue paper and placed inside an official Joma Jewellery gift pouch with ribbon tie and gift tag (see additional photo). 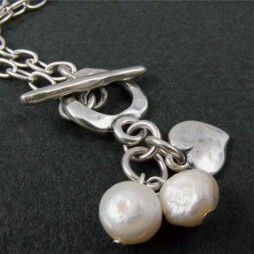 Joma Jewellery was founded in 2008, to create and celebrate timeless lovely jewellery that can be collected, worn and loved time and again. They still have the very same dream now that they had then. From their first capsule collection created during their travels throughout the Far East. 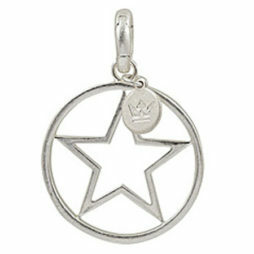 They have been exceptionally lucky to team up with their terrific staff to create and grow Joma Jewellery into a country wide loved brand name. 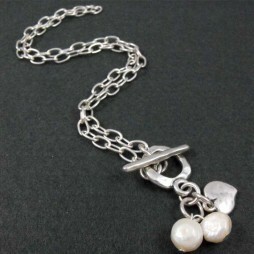 Jewellery is exceptionally unique and always holds priceless memories and moments that are completely special and personal. 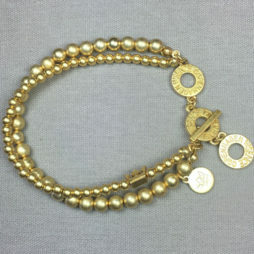 The magic that each piece can hold for you, drives them to craft beautiful new pieces every season, for every occasion. This has actually been, without a doubt the most interesting trip of their lives and they hope you enjoy it as much as they do. 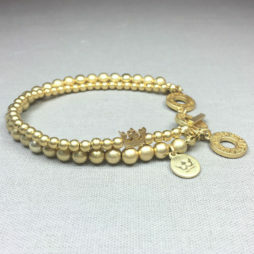 2nd purchase of this beautiful bracelet, a perfect gift for loved ones going through a rough time. Thankyou and such a great service!